Nathan Greene Limited Edition Giclee Print:"The Healer - Nurses"
Image Size: 25" x 31" Paper | Multiple Canvas Sizes Available - Select from Option Area. About the Artist: Nurses face life and death situations every day. The Healer offers hope to those who choose to serve in the often stressful but rewarding career of nursing. 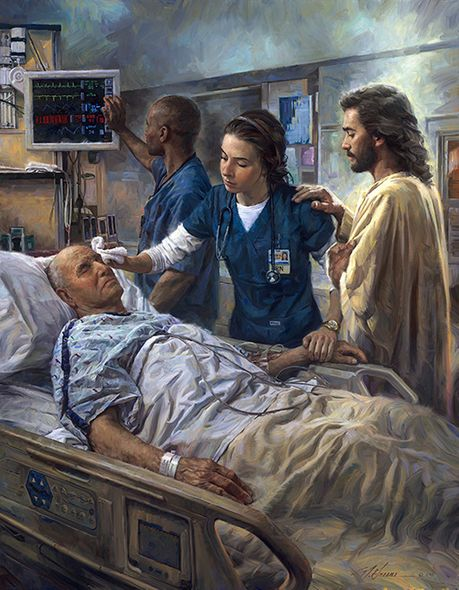 Knowing that Christ is by the side of the one who cares for the sick and suffering brings comfort to all who enter.